NEW DELHI — How can media coverage of religion contribute to greater understanding and foster social harmony? This question, among others, animated a dynamic forum co-hosted by India’s Baha’i community on Saturday in New Delhi. The event highlighted how, in the media, faith is too often associated only with negative expressions of religious practice, such as superstition, prejudice, oppression, and exclusion. With a rising tide of religious extremism over the past decades, religious violence has also garnered an abundance of attention in the media. Yet religion is vast and multifaceted, and its many constructive contributions to communities and to civilization itself are overlooked in popular discourse and media. This reality rings especially true in Indian society, according to Saturday’s panel of speakers, which included prominent media figures, government officials, scholars, and faith representatives. Panelists discussed some of the challenges associated with the current media model. For instance, they explored how the publication of stories is often driven by sensationalism. The pace at which news is reported often compromises the need for depth, accuracy, and nuance in a subject as complex as religion. While identifying the shortcomings of current media, the panel acknowledged the difficulty of finding a way forward. One of their main conclusions was that journalists need forums to pause and reflect on their coverage and the impact it has on perception and behavior. IIMC and the Office of Public Affairs of the Baha’is of India jointly hosted the gathering, called “Covering Religion with Sensitivity and Understanding in an Interdependent World,” held at the Institute’s campus in New Delhi. “We are trying to learn with others how the spiritual principles found in major religions can be applied to the transformation of individuals and society and for the betterment of the world. Given the great power of the media in shaping public perceptions and discourses, the Baha’i community of India and the IIMC felt there is a great need to have a conversation with media professionals about the way they cover religion,” explained Nilakshi Rajkhowa, Director of the Baha’i Office of Public Affairs in India. Speakers at the roundtable meeting (from left) Dr. Mona Mehta, deputy editor of The Speaking Tree; Mr. N.K. Singh, a former general-secretary of the Broadcast Editors’ Association; Ms. Sandhya Jain, a political analyst and independent researcher, listen intently to the conversation. At the event, print and broadcast journalists spoke frankly about what they perceive as challenges in reporting on religion, including the over-coverage of conflict and under-reporting of harmony among religious groups. Several speakers argued that in India, where religion is a strong presence in people’s lives, media’s responsibility to cover religion in a thoughtful and accurate manner takes on special importance and contributes to the way groups perceive their relationships to one another and society at large. Comment les médias devraient ils aborder les religions et la religion en générale? En mettant en lumière les extrémistes? indian a écrit: Comment les médias devraient ils aborder les religions et la religion en général ? ...ce sujet rejoignant mes réflexions actuelles (qui se focalisent sur les médias en général), j'apprécierais d'en discuter de façon plus approfondie avec qui veut ! les médias sont principalement la propriétés de riches oligarchies influençant l'opinion publique. indian a écrit: les médias sont principalement la propriétés de riches oligarchies influençant l'opinion publique. C'est l'un des problèmes de base. 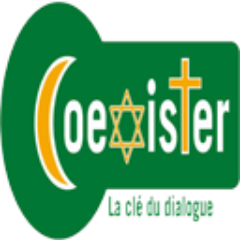 D'un autre côté, je dirais pour ma part que "la religion" n'étant pas leur souci premier, son traitement est peut-être plus neutre que d'autres sujets.